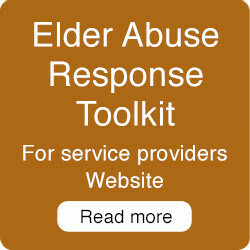 World Elder Abuse Awareness Day 2014 - what is elder abuse? The United Nations General Assembly, in its resolution 66/127, designated June 15 as World Elder Abuse Awareness Day. It represents the main day in the year when the world voices its opposition to the abuse and suffering inflicted on older people. You can register your own events on this website. Elder abuse is mistreatment of an older person that is committed by someone with whom the older person has a relationship of trust such as a partner, family member, friend or carer. Elder abuse may be physical, social, financial, psychological or sexual and can include mistreatment and neglect. Elder maltreatment can lead to serious physical injuries and long-term psychological consequences. 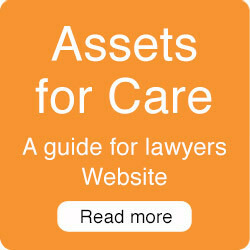 Sometimes family, friends and carers may not know that their actions amount to elder abuse. The World Health Organization describes elder abuse as a violation of human rights and a significant cause of illness, loss of productivity, isolation and despair. (WHO 2002 Active Ageing Policy Framework). As such, it is an issue that affects not only the person who is impacted directly but also the broader community. Older people have the right, just like people of all ages, to live safely free from harm, abuse, and exploitation. Any actions that breach this right are a form of abuse. Who is affected by elder abuse? Elder abuse is a problem that exists in both developing and developed countries yet is typically underreported globally. Prevalence rates or estimates exist only in selected developed countries — ranging from 1% to 10% of older people. Elder abuse has been shown to affect women and men, people from different cultural backgrounds, people with different levels of education and wealth, and both city-dwellers and country folk. The incidence of abuse towards older people is predicted to increase as many countries experience rapidly ageing populations. Although the extent of elder abuse is unknown, it is nonetheless a global social issue which affects the health and human rights of millions of older persons around the world, and an issue which deserves the attention of the international community. Seniors Rights Victoria works to prevent elder abuse from occurring by offering free legal advice and information as well a range of educational and advocacy activities. We are committed to safeguarding the rights, dignity and independence of older Victorians.